On 10 November 2001 we said yes to each other in Church of Sct Nicolai in Aabenraa, after which we celebrated with all our guests in Holingsted (Germany), a fabulous day that we will never forget. 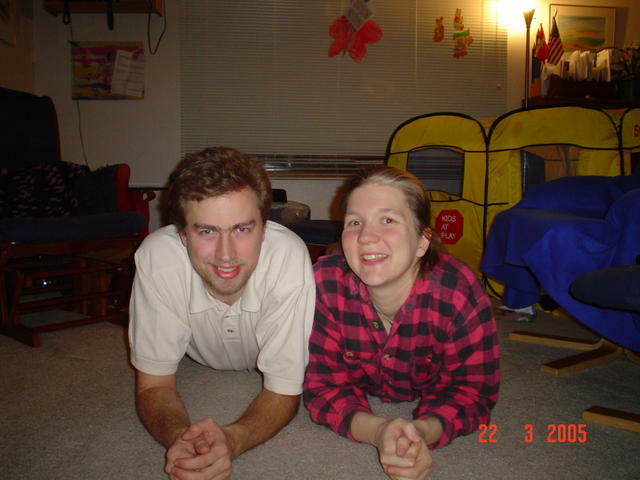 In the time since our marriage we now have two children, Lukas d. 02 Oktober 2002, born at the hospital in Sønderborg and Ruben d. 03 April 2004, born at Mary Greeley Medical Center in Ames, IA, USA. 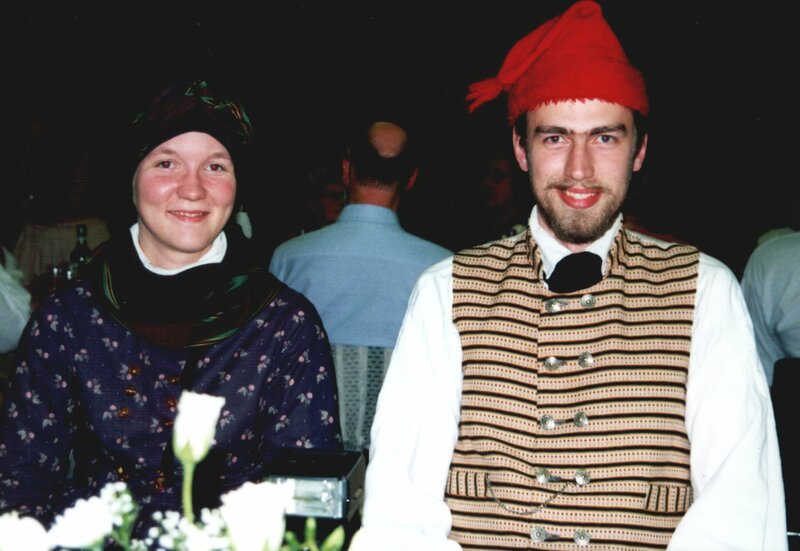 Folkdance is how we met, so we chose to marry in our costumes. It may sound old fashioned, but we don\'t think so at all, to us it is incredibly fun. We are members of a team for young people in our town, and beside that, we have joined a national team that represents Denmark at festivals and other big events world wide... Oh, and it is of course practical that we can resuse our wedding outfits and rememer our big day every time we wear it. The costumes shown in the picture are not the ones we got married in, Daniela found time to sew a new apron and top for her costume before the wedding, without Lars knowing, and Lars finished his own costume for the big day as well. Pictures of us in our costumes are on the pages about our wedding.